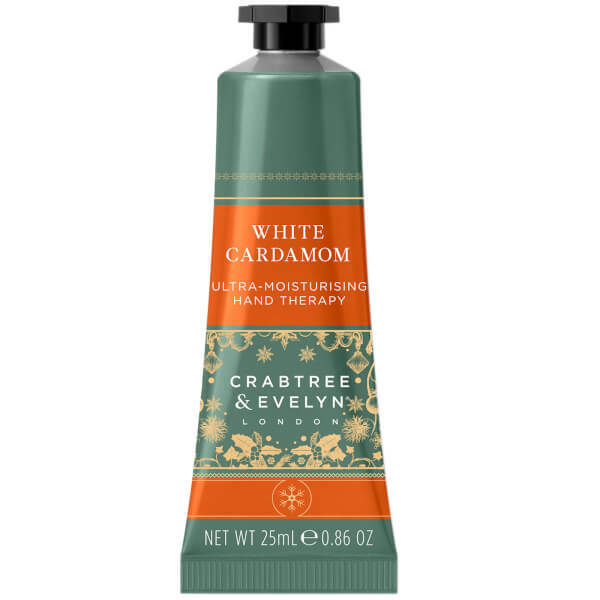 Crabtree & Evelyn's White Cardamom Hand Therapy Cracker conceals a nourishing, limited edition hand cream to leave skin feeling pampered and nurtured. The super-moisturising and replenishing formula harnesses the softening and conditioning properties of Shea Butter to comfort and condition hands, nails and cuticles. It absorbs quickly into skin, delivering a host of beneficial ingredients to leave winter-bitten hands feeling soft, hydrated and delicately fragranced with sweet Mimosa and Cardamom. 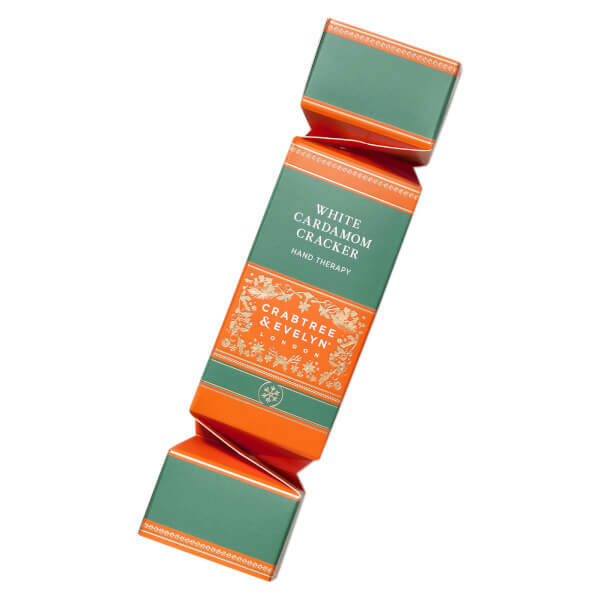 Housed in festive cracker packaging, it's the perfect stocking filler. Massage into hands and nails when desired.